Never lose your ID badge again. 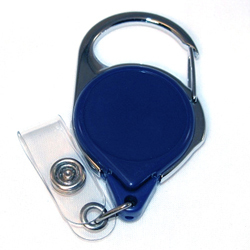 Use a Badge Reel with a sturdy Carabiner for ultimate convenience. • Convenient no-twist carabiner clip makes it easy to attach to belt loops and clothing. • Sturdy design is great for heavy use. 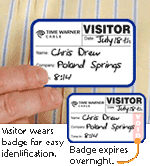 • Carabiner clip prevents loss and makes ID badges easily accessible.